On January 21, 2019, the University of Redlands will welcome the “Beyoncé Mass” to its main campus in Redlands, California. The worship service uses the music and life of Beyoncé as a tool to cultivate an empowering conversation about Black women—their lives, bodies, and voices—while creating an event with story, scripture, and song that calls for the liberation of all people. The event will make up a part of the commemoration of Martin Luther King Jr. Day at the University of Redlands, which will also include a series of community service gatherings and musical offerings. 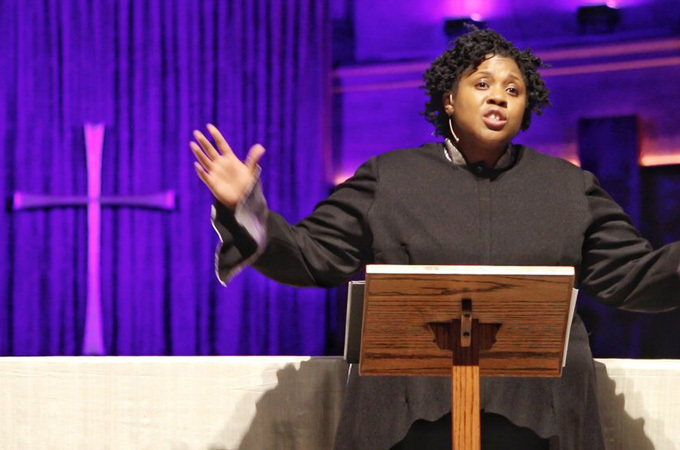 Created, led by, and based on the scholarship of, Reverend Yolanda Norton, the H. Eugene Farlough Chair of Black Church Studies and assistant professor of Old Testament at San Francisco Theological Seminary, the Beyoncé Mass drew about 1,000 people at its inaugural event at San Francisco’s historic Grace Cathedral in April 2018. The initial public Beyoncé Mass included in its liturgy the use of Destiny Child’s Survivor as an introduction to speak to the enduring spirit of Black women and the capacity for all people to overcome oppression and discrimination. Additionally, the service included readings and a sermon by Rev. Norton, who is ordained in the Christian Church (Disciples of Christ) and holds a Master of Divinity and Master of Theological Studies from Wesley Theological Seminary and B.A. in political science from Syracuse University. Panelists include Lakisha R. Lockhart, assistant professor of practical theory at the Samuel DeWitt Proctor School of Theology at Virginia Union University, and Rev. Chelsea Brooke Yarborough, ordained minister and poet currently pursuing a Ph.D. at Vanderbilt University. The event will take place at 7 p.m. in the Frederick Loewe Performance Hall on the Redlands campus. RSVP for the panel on the Facebook event page. The following day, The Beyoncé Mass will begin at 7 p.m. on Monday, January 21, at the Memorial Chapel on the University of Redlands main campus, located at 1200 E. Colton Avenue, in Redlands. This event is free and open to the public. RSVP for the worship service on the Facebook event page. For additional information, see the Bulldog Blog's "Beyoncé Mass Q&A" and the Beyoncé Mass website.